The alchemists of old were interested in creating gold from base metal. Nowadays you don't have to do anything so tricky to practise alchemy (unless you want to of course!) Quite simply, it's a way to manifest physical and spiritual abundance in your life. How Can I Practice Spiritual Alchemy? Our thoughts and speech play an important role in what is happening in our lives. The universe is very receptive to our thoughts and feelings whether it be fear of not being able to pay the bills or feeling thankful for a gift. Whatever we focus attention on and believe, the universe will obey and provide for us. So worrying and saying things like 'I'll never be rich' isn't going to help. I know it is easier said than done but here's some practical techniques to help you. Spiritual alchemy is worth the effort. A great start to help you think more positively is to feel grateful. Thank God or your favorite spiritual guide for what you already have and what has happened in your life. I'm Claire, by the way, Helen's 'little' sister. Our Mum had a brilliant idea last month. Each evening after dinner we write ten things that we are grateful for that day in a note book. It has helped me to think more positively throughout the day too, as I'm anticipating what I'm going to write about. When things get tough and I'm handling them the best way I can, I like to remind myself that I'm balancing karma so that's something to be grateful for. And just as in the book and movie Pollyanna, you could play 'the glad game' which simply means finding positive aspects of difficult situations. A lovely bonus is that it helps you to be happy. Try imagining a big cosmic tube or chute above you, connecting you to God. 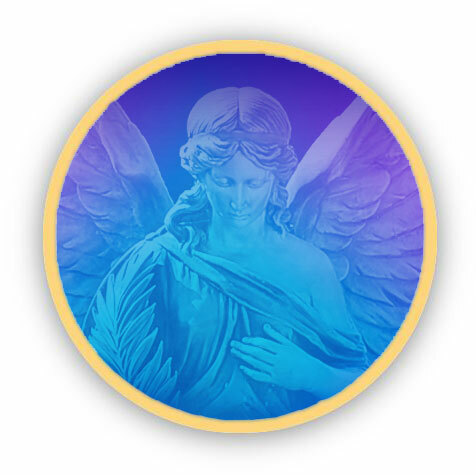 Negative thoughts and feelings can block up that connection and when you ask for help those divine helpers may be a while fighting their way through heavy energy. Decrees can really cut through and clear the 'tube' so that heaven can come to your assistance as soon as you ask. Violet flame decrees really help me forgive myself and others. When resentment and negative thoughts are transmuted into pleasant and forgiving ones it allows the energy in and around you to flow freely. After all, abundance is just a form of energy. Is this your Subconscious Block? Unfortunately we are indoctrinated with limiting beliefs about abundance, such as the phrase 'money is the root of all evil'. I recently found out that this is often quoted wrongly and the phrase is actually 'the love of money is the root of all evil'. And we don't generally love money - it's just a channel. What we love are the things and situations money provides. Faith is a core ingredient in spiritual alchemy. It is in truly believing that you receive. We have to remember to wait patiently with an open mind - the answer may arrive in an unexpected way. Repeated, clear visualization is key to spiritual alchemy. Decide exactly what you need. You may find that meditation is helpful at this point. Then, actively imagine enjoying holding/wearing/sitting in/using your desired object(s) or living in the situation you would like. I am, as I write this, sitting on a computer chair, working on my laptop at a desk in my room complete with a recliner and up-lighter in my four bedroom house. All of which I visualized a few years ago when I was sharing an attic with my Mum and struggling just to get by. Making a treasure map is an excellent way to shape your dreams into tangible goals and launch them into reality. It's fun too. Here's a step by step guide to the art of treasure mapping. 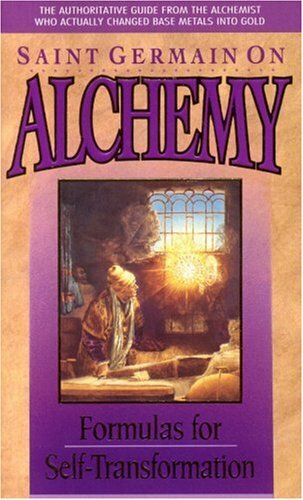 The authoritative guide from the alchemist who actually changed base metals into gold and discovered the elixir of life. Saint Germain shows that miracles are nothing more than the natural outgrowth of the practice of spiritual alchemy. In this greatest of all self-help books, Saint Germain describes the principles of alchemy and how they can be used to effect spiritual, mental, emotional and physical transformation.